After a tragic event, young Tamara Smythe’s life gets turned upside down as she discovers she has powers she never suspected. Ghosts and monsters of all sorts appear and Tam soon finds she is not alone in the fight against evil forces invading our dimension. This witty and dark urban fantasy is a fast-paced coming-of-age thriller packed with swords, magic and many twists. Along the way, you’ll learn the secrets to surviving the coming demon apocalypse. Let me start off by saying that I received the review copy of this book from NetGalley. It caught my eye because I dig coming-into-powers stories, fantasy and ya, but despite the rather lengthy description, the story wasn’t what I expected. 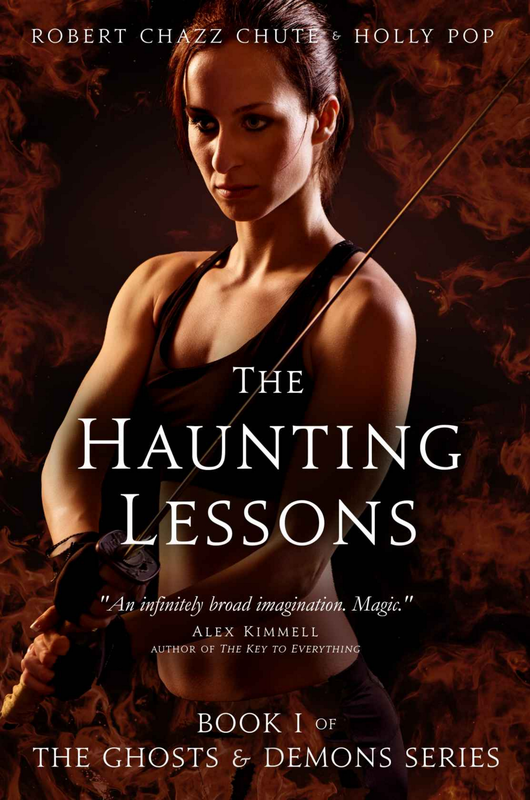 Instead of an action-packed sword and sorcery that happens to cross into modern times, it’s more of a paranormal urban fantasy with witches, seers, ghosts and demons, and to me, it seems too graphic for the YA crowd for which it seems to be geared. While the ghosts and how she’s able to see them and help them along are interesting, the book flips from that to preparing for an upcoming demon apocalypse almost at the very end, rather disconcertingly as, by that point, I thought I was reading a ghost story. Also, it reads like stream of consciousness, like many of the YA stories I’ve read, as the main character, Tamara, talks to the reader, telling her story and imparting numbered lessons on dealing with life in general, hauntings, and the coming apocalypse. It took me a little getting used to. And I didn’t care much for the Choir Invisible. It seemed a little out there for this story, particularly coming in as it does at the very end, all acronyms for things that don’t need them, place-based pseudonyms for members, and ominous prophecies. Almost too typical. Overall, I kind of liked the story, but there were things about it that bothered me, and I had some trouble getting into it. Folks (adults) who enjoy paranormal urban fantasy might find this to their liking, though folks who are turned off by gore and triggers may want to steer clear. The review copy of this book was provided by the publisher via NetGalleyt in exchange for a fair and honest review. Once a journalist, Robert Chazz Chute now writes supernatural thrillers, SF adventures and crime stories. An entertaining mix of dark twists, deep feeling and sharp humor make his work fun to read and memorable. Best known for This Plague of Days, the Omnibus Edition won honorable mention in Writer’s Digest’s Self-published E-book Awards in 2014. Robert lives in Other London. You can find him at AllThatChazz.com. Enter your email address at AllThatChazz.com to receive news and updates on his latest books and deals. Previous post: NEWS: Pure Textuality PR now offers premade book covers!